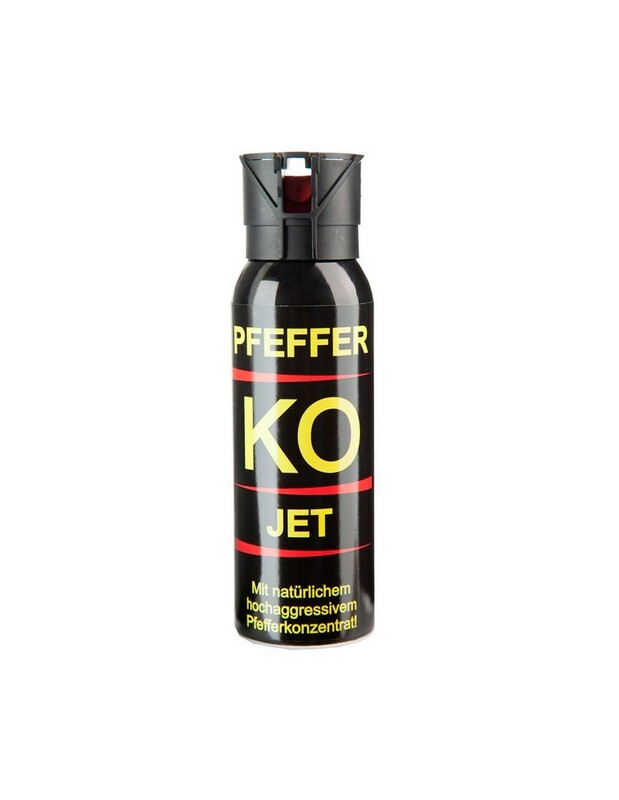 Pfeffer - KO JET is the most commonly used spray for self-defense on the basis of hot pepper. Contains very strong natural concentrate OC. 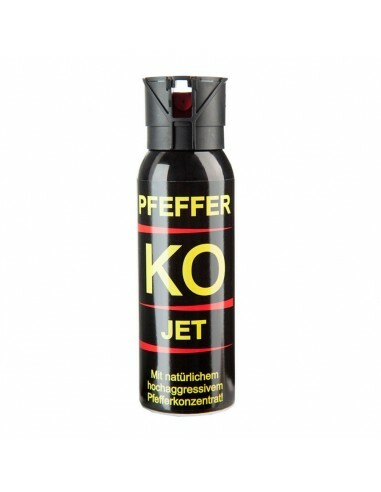 Pfeffer - KO JET is based on the discharge directed jet of fluid , and is very suitable for use indoors or through the open car window . Tear gas on the principles of directed jets are commonly used by members of security services , because of their efficient use still requires less training , in order to spray accurately directed to the attacker . In JET bombs no feedback mist that can incapacitate a person who can defend . In Switzerland , Austria, Belgium , the United States and other countries , this spray is approved as a means of self-defense. 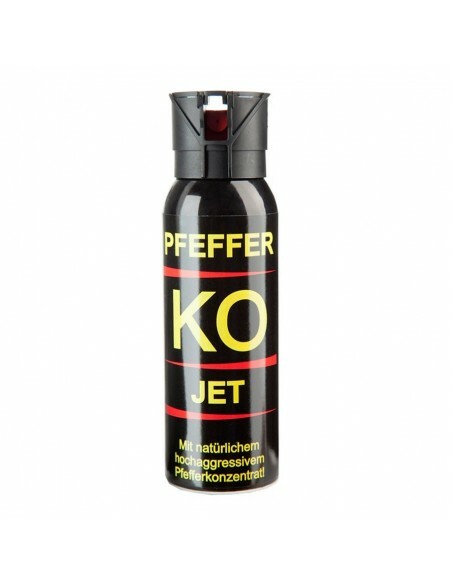 Pfeffer spray used by the police. 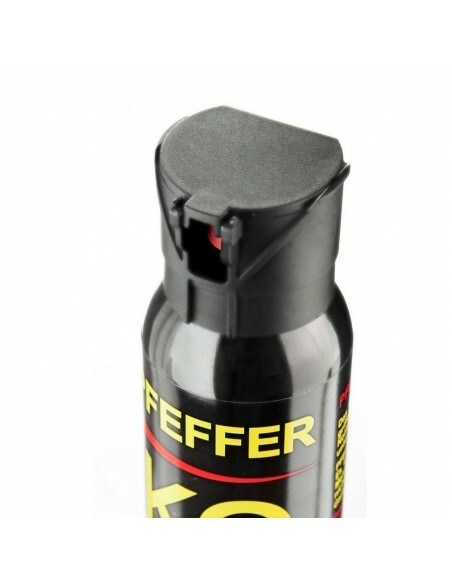 Self-defense sprays are designed so that there is no possibility of independent activation in a purse or pocket. The nozzle works even if it is dirty. The range of sprays is up to 4 meters. 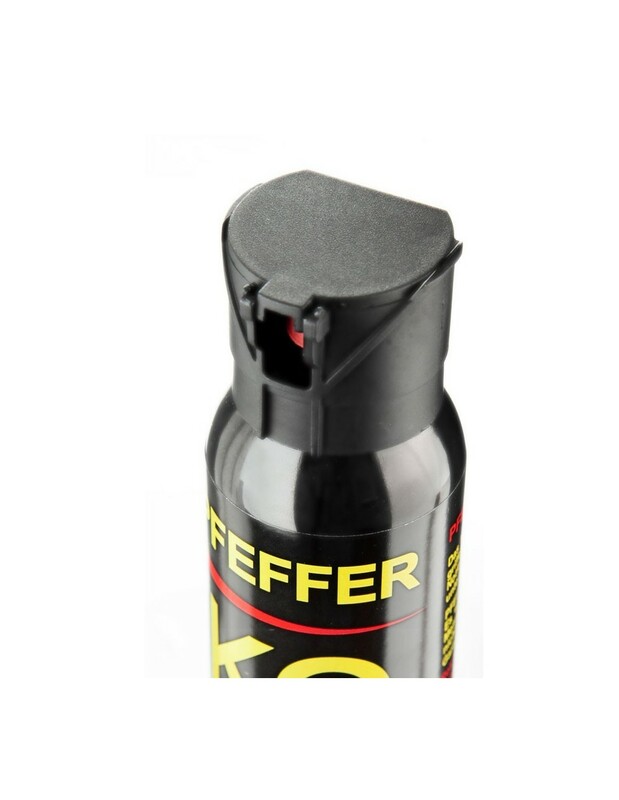 It is not advisable to use the spray for self-defense at distance of less than 1 meter. The content of the spray is sufficient for at least 4 using by 1 second. Tell the person to be quiet, normal breathing and to relax. As soon as possible, a person exposed to tear gas to take uncontaminated area and turn the face to the wind or fan. Rinse off her face and eyes with running cold water. Do not let it rub eyes! Do not use any creams, lotions or ointments. For removing active components can be used soap, which does not contain an oil. To prevent swelling of the affected areas, you can use a cold towel or ice. Before washing, remove eye lens (if a person is wearing) and then wash them thoroughly. All effects would have gone for about 45 minutes without decontamination, and with fresh air and water before. Observe the person. If you notice symptoms such as chest pain, cold sweat, shallow breathing, and the like immediately seek professional medical help. Please be sure to check before ordering, legal regulation of import and using personal defense spray for the country where you order delivery. Americanshop is not responsible for any legal consequences and costs that might arise from the different laws on the use of sprays, electrical devices and other tools for self-defense.